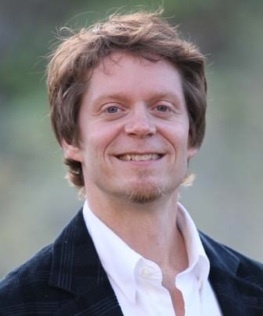 Greg Larsen is a spiritual life coach, spiritual teacher, and co-host of Living with Tolle, a #1 podcast on iTunes with an international audience in over 100 countries. He is passionate about the teachings of Eckhart Tolle and supporting people with their spiritual awakening by deepening their experience of Tolle’s teachings. After experiencing the profound highs of a spiritual awakening in 1992, and the abysmal lows of a divorce in 1999, an introduction to the teachings of Eckhart Tolle in 2000 facilitated a healing and integration of these two life-changing events. Since 2003, Greg has led hundreds of group meetings and presented talks on the teachings of Eckhart Tolle across the US, facilitating a highly experiential and interactive presentation. His artistic background includes a B.A. in Theater Studies from the University of St. Thomas in St. Paul, MN, with stage credits in Minneapolis and London. Greg also spent five years in Nashville as a singer/songwriter before moving to Los Angeles in 2003 to begin work on his upcoming book, Happy as Humanly Possible. Greg is a graduate of Coach for Life and certified as a seminar leader by the American Seminar Leaders Association. His corporate experience includes twelve years in marketing and sales, including inside sales, outside sales, retail sales management, and project manager for national initiatives ranging from business in jeopardy to employee engagement. He lives in Los Angeles with his wife Sarah and their children Jasmine and Tyler.